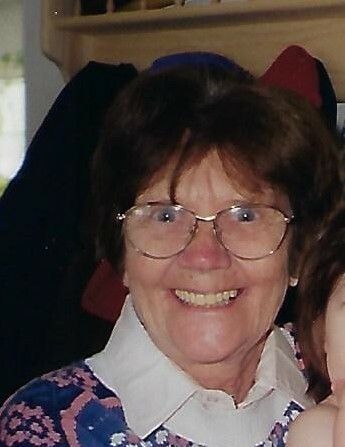 Alice Spirito, of Hingham, passed away on Thursday, January 31, 2019 at the age of 84. Beloved husband of the late Camillo “Sweeny” Spirito Sr. Loving mother of Mari, CJ, Cathy, Alice, and Bill. Caring sister of Walter, Irene, Lawrence, Joseph, Richard, Helen, Catherine, and Frank. Alice was a Child Care Provider and a Homemaker for many years. She was kind and gentle, loving to all. She loved to dance and laugh and be social. A true spirit of community and love. Visiting hours will be held on Monday, February 4, 2019 at the Downing Cottage Funeral Chapel from 4:30 to 7:30 p.m. Funeral Mass will be held on Tuesday, February 5, 2019 at Saint Paul’s Church, 147 North Street Hingham, at 10 a.m.